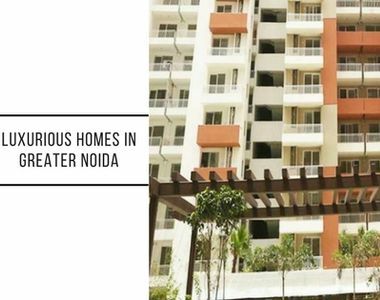 Noida real estate has been witnessing huge growth in recent times and offering finest of residential options for the investors and homebuyers at premium locations. The commercial importance of the city is on rising and so are the prices of properties. If you are looking for a luxurious yet affordable property in Noida, you must have a look at ACE Platinum Noida Located far away from the hustle and bustle of the city, Platinum project boasts of solace, comfort and freshness. Ace Platinum Greater Noida is one of the finest creations by the ACE Group where you can live peacefully leaving your daily tensions behind. This is a ready to move property in Noida setting a new benchmark in the realty sector. On the offer, there are 2, 3 and 4 BHK beautiful apartments wrapped in all the luxurious and ultra-modern features to elevate your lifestyle. The green-living facilities at the complex are truly mesmerizing and will indulge you in the beauty of nature. The apartments are well-spacious and proper ventilated to ensure maximum natural light and air to reside in. 80% of the area in the complex is kept open and green to keep you close to nature. The wide balconies and large windows of the apartments facing central greens will make you feel sitting in the lap of Mother Nature. Talking about the structure, it is planned meticulously by the top architects and designers. 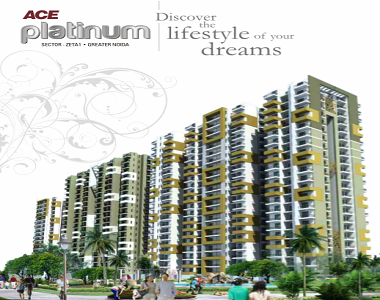 Ace Platinum Noida is planned to offer 1276 units in total scattered over 6 towers. Located in Sector Zeta 1 Noida, the residential complex enjoys easy connectivity from all the major landmarks in NCR. The well-developed transportation system and road network make your commutation easy and hassle-free. Location is the most important factor that everyone looks for while buying a property. ACE Platinum Noida location is thoughtfully planned by the builder to meet the expectations and requirements of the modern homebuyers. All major conveniences are readily available at the doorstep and it becomes easy for the residents to access them quickly. When it comes to the amenities, these are also planned brilliantly by the builder to make the life of residents pleasant. Some of the top amenities include swimming pool, clubhouse, indoor and outdoor sports facilities, landscaped gardens and more. Moreover, the security system is enhanced and ensures complete safety of the residents 24 x 7. The complex also comes in close vicinity to a number of reputed schools, colleges, ATMs, shopping complexes and banks etc. This is a ready-to-move property in the city that is setting new standards in the realty sector. Along with this, these homes are reasonably priced and grabbing the attention of investors and homebuyers for good future returns.